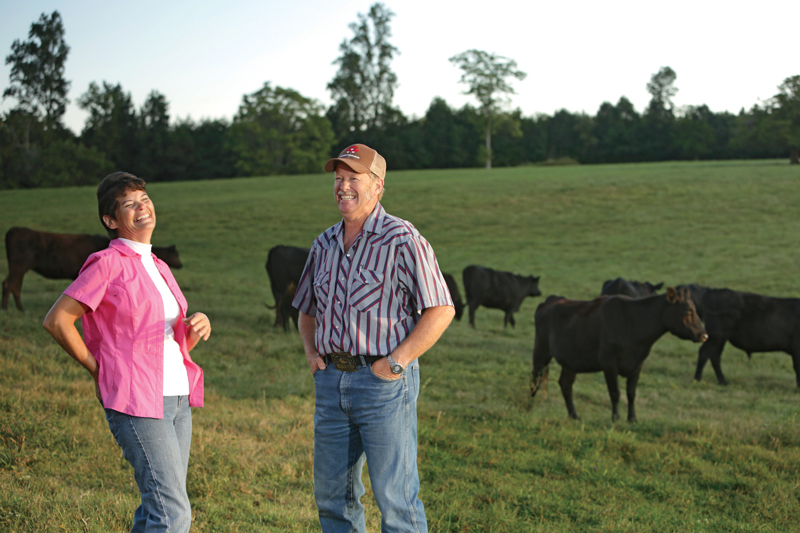 Three farmers explain how their tractors outperform the competition, exceed their expectations and make hard work just a little easier. The Massey Ferguson reputation has been earned. Farmer-focused design and continuous improvement have been among the hallmarks of Massey Ferguson® for generations. 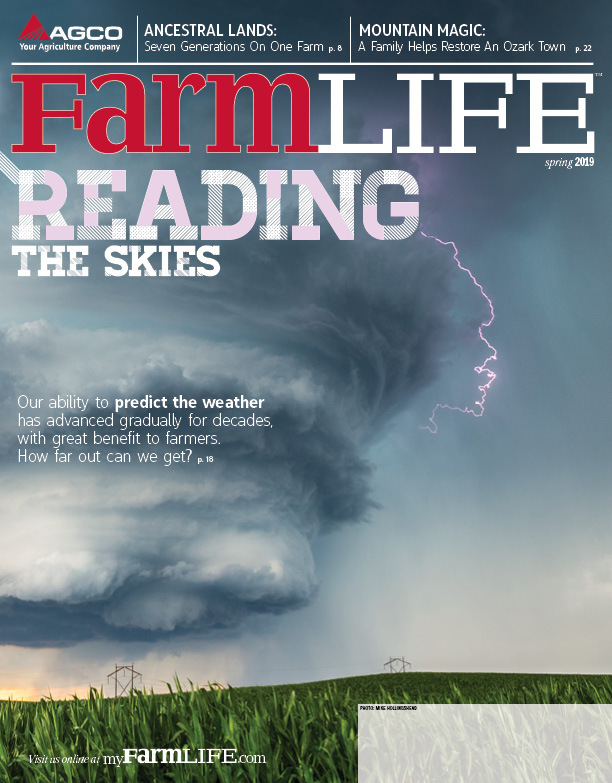 Those are promises made and kept with the recent release of a potentially record-breaking number of new machines and technologies across all farming categories. 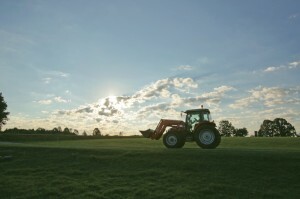 The subcompact, compact, utility and midsize tractor market has certainly benefited from this activity. In fact, to better serve farmers with a variety of needs, Massey Ferguson has introduced seven new tractor series, from 22.5 to 130 engine hp, in just the past year. But it’s not just quantity. It’s quality—a reputation that, as you’ll see from the three interviews that follow, has been earned. These farmers say they’ve chosen Massey Ferguson tractors for reasons such as versatility, durability, comfort and, above all, value. 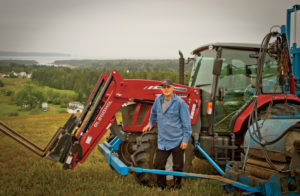 Read on for a glimpse into these varied operations and for a sampling of why these farmers say they get their money’s worth, and then some, from Massey Ferguson. Dealer: Binkley & Hurst, Dayton, Va.
“We’ve been blessed,” says Sam Geesaman about his family and farm. He and his wife, Starr, raised four children and now have the tremendous fortune of having 12 grandkids, all of whom live within a few miles of their home. Geesaman’s farm, too, has been a blessing, he says. Having converted the operation from dairy cow to contract hog raising, he’s done well for himself. 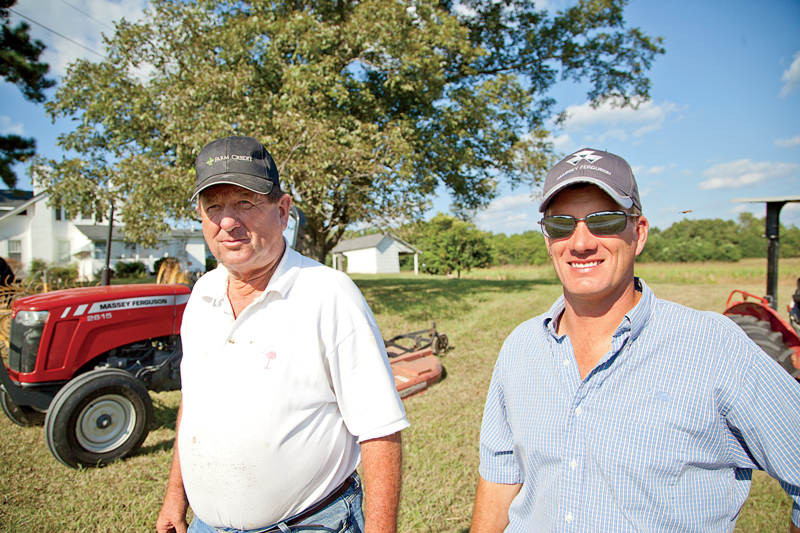 “We now probably put close to 15,000 [hogs] through here a year.” He also grows hay and corn for sale on the 236-acre farm. To keep up with his growing workload, Geesaman bought a new MF5610 this past summer. “I’m just pleased all the way around with it,” he says. “I have yet to have it run short on power,” says Geesaman of the 3-cylinder, 3.3-liter engine. “The auto shift, that’s really neat. If it starts pulling down, it’ll shift down automatically. Increase your speed, and [the Dyna-4 transmission] will grab another gear. It’s less the operator has to do and think about. It just does it for you and,” he continues, “it’s just a nice riding tractor. Operation: Raise peaches, pumpkins and other produce, as well as hay, wheat and oats; also operate a seasonal roadside produce stand and corn maze. Uses for tractor: spray orchard, loader work, pull inline Hesston 4560 square baler (25,000 bales/year) and Hesston 540 round baler (1,000 bales/year). Also use MF2660 with MF1329 10-foot disc mower, MF39 6-row planter and MF43 grain drill. Dealer: Nance Tractor, McConnells, S.C. Proving he listened to advice from his father, Arthur (left), Paul Black recently purchased his own Massey Ferguson tractor, an MF2615. When asked if he owned any Massey Ferguson equipment prior to his MF2660, Arthur Black takes a deep breath and launches into the list. “We’ve had seven or eight 135’s. Had some 2705’s, some 175’s, some 265’s, a 699, an 1135, 1105’s, 1100’s, a 30B loader, planters and all that stuff with Massey. He then answers the next question—why he uses Massey Ferguson—before the interviewer can complete the sentence. “Fuel efficiency,” he says. To be fair, Black notes that the Kubota, which he bought used because “the price seemed right,” was several years older than his MF2660, but it was also as much as 1,800 pounds lighter. That should’ve “meant something for fuel efficiency,” he says. Black, who says he’s put 1,200 hours on his MF2660 in just two years, also likes “the hydraulics on the Masseys. I’ve got a couple of Hesston balers, and the hydraulics have enough flow to run the accumulator I have on them. They work a whole lot better than that Kubota, as well as a John Deere I tried once. “I’ve got a lot going on here with the hay, the corn maze and all the produce for the roadside stand,” continues Black. 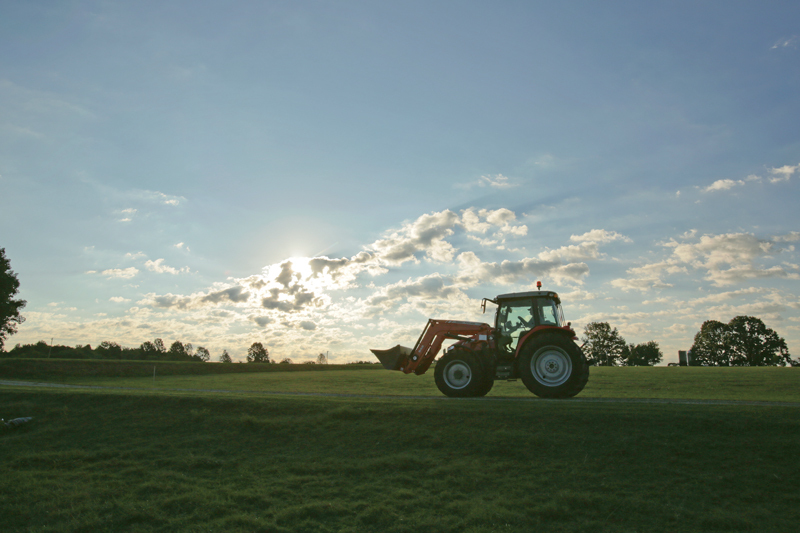 “I’ve got to have tractors that can do lots of jobs … that I can rely on. 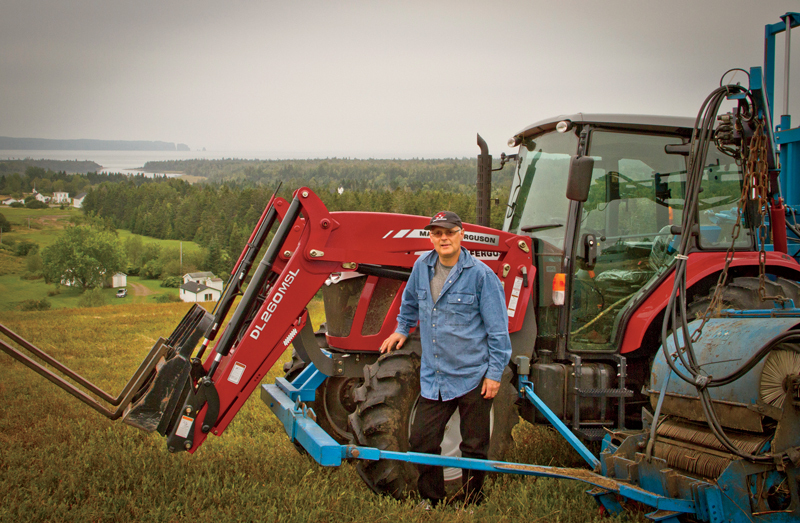 AUDIO: Click the play button to hear Orr discuss his MF4609 in a blueberry field high above the Bay of Fundy. One of Orr’s fields overlooking the Bay of Fundy and Cape Split. 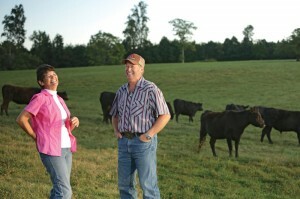 Dr. Jeff Orr never lost his love for farming. As a kid and through his college years, he worked in the wild blueberry fields and processing plants in and around his hometown of Parrsboro. Now, with a PhD in education and as the dean of faculty at the prestigious St. Francis of Xavier University in Antigonish, Orr still farms 80 acres of berries with plans to expand. Wild or low-bush blueberries differ from their high-bush or cultivated cousins in a number of ways. For starters, the wild variety is rarely planted by man. Instead, the task is, well, for the birds, who eat the berries then leave the seeds behind in their droppings. The plants then spread via rhizomes, but must be burned or, more commonly today, mowed back every other year. Also, wild berries can now be picked by a mechanical harvester, a relatively new development but one that requires a typically small tractor with exceptionally good power and hydraulics. Small, because of the odd shape of most fields; powerful, due to frequently hilly terrain and the size, weight and requirements of the new harvesters.